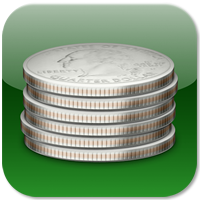 Looking to make money from—or better monetize—your app via in-app purchases? To succeed in this multi-billion dollar business, which has grown by the tens of billions since the early in-app purchase days of 2013, you’ll need to win over a small but active segment of smart device owners. Mobile commerce, which is more widely adopted across internet users than in-app purchasing, is projected to generate hundreds of billions of dollars in revenue within the next couple of years, but is still lagging behind offline and desktop spending. What does the landscape look like for businesses wanting to push conversions in-app or on the mobile web? We’ve culled the latest industry reports and projections and put together these need-to-know stats on mobile consumers and their spending habits. This statistic of invespcro shows the projected worldwide total mobile in-app purchase revenues from 2013 to 2017. Global revenue from mobile in-application sales reached 4591 million US dollars in 2013 and are projected to surpass 36887 billion US dollars in 2017. Just 5%of the app users spend money on in-app purchase. 2.4% of the app users spend money on in-app purchase in Latin America and 5.9% of the app users spend money on in-app purchase in Asia. In app purchase accounts for 48.2% of mobile app earnings, 14% from ad based revenue and 37.8% from paid app downloads. Average in app purchase accounts to $1 among iphone users and $0.43 among android users. Monthly in app spent per user, per app reports to $0.50 globally. This entry was posted in Infographic, Mobile App Ads and tagged in-app purchase, stats, trends. Bookmark the permalink.